San Francisco, CA, May 2, 2018 – VIZ Media, LLC (VIZ Media), a premier company in the fields of publishing, animation distribution, and global entertainment licensing, adds a new title to its RWBY roster with the release of the RWBY OFFICIAL MANGA ANTHOLOGY on May 15 th. 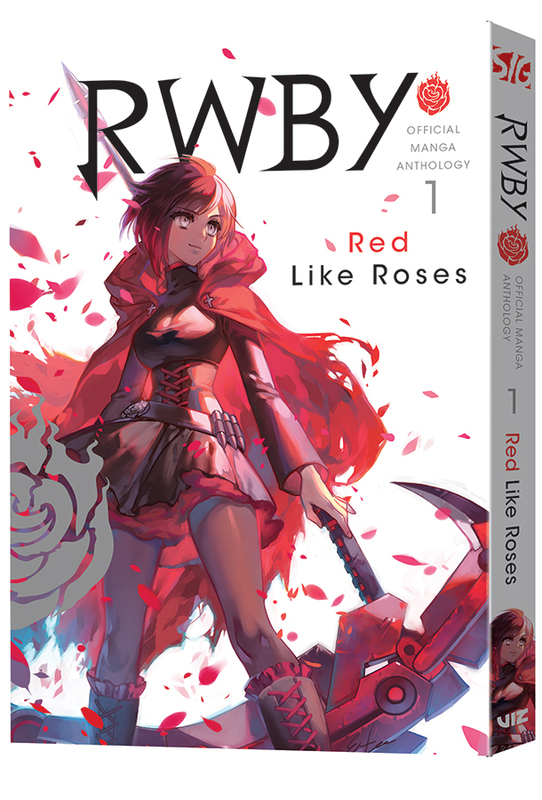 The RWBY OFFICIAL MANGA ANTHOLOGY: RED LIKE ROSES will debut in print and digital editions under the VIZ Signature imprint with a rating of ‘T’ for Teens. Volume 1 carries a print MSRP of $12.99 U.S. / $17.99 CAN and is the first of four character-focused volumes in the RWBY OFFICIAL MANGA ANTHOLOGY series. RED LIKE ROSES also launches digitally via viz.com and the VIZ Manga App, as well as from the Nook, Kobo, Kindle, iBooks, comiXology, and Google Play stores. The second anthology, featuring Weiss Schnee, is set for publication later in 2018. More details on anthologies featuring Blake Belladonna and Yang Xiao Long will be forthcoming. In RED LIKE ROSES, Ruby may be team leader, but she's got insecurities just like the rest of us. In fact, her worries run deep. These all-new stories show how Ruby overcomes her shortcomings to be a true hero—and what drives her to do it! From a team of exciting new manga artists comes the first volume in a series of short story collections showcasing Ruby, Weiss, Blake and Yang! For additional information on RWBY and other manga titles distributed and published by VIZ Media, please visit viz.com.